Dogs are human’s best friends and they can have health conditions that are similar to humans’, too. One condition that dogs can have that humans also have is seasonal allergies. Like humans, dogs can react to allergens when the weather changes, and this can cause uncomfortable symptoms and feelings for your pup. If your dog seems to be exhibiting seasonal allergy symptoms, the following list of tips may help. These steps can help alleviate your dog’s suffering and ensure he lives the happiest and healthiest life possible. Once you’ve decided that your dog might have allergies, it’s time to take him to the vet. Your vet can take a look at the symptoms, then decide whether it’s allergies or something else to be treated. Your vet can also do allergy tests on your dog. Once the vet knows what allergies the dog is suffering from, she can prescribe medicines to help with the actual allergies, and treatments to alleviate the symptoms. One of these treatments may be a pill prescribed called Apoquel, which helps treat atopic dermatitis or allergic skin disease in dogs. The treatment can be a bit pricey, but buying online can help cut down on the Apoquel cost. Many seasonal allergies are triggered when your dog comes into contact with an allergen in the environment. For example, a dog allergic to grass may have a reaction when he spends time running outside. To get rid of allergens from paws, skin and fur, bathe your dog regularly. Ask your vet what the best kind of shampoo is for seasonal allergies. She may be able to recommend a product specifically targeted for allergies or one that is medicated to help ease the discomfort your dog feels. Every time your dog comes in from the outside, use a towel or medicated wipes to wipe down his paws. This doesn’t only help remove allergens from his paws — it also helps to keep your dog from tracking them through the house, which can ultimately make allergies worse for both your furry friend, and your family, too. Many experts believe that supplements like Biotin or Omega-3 can help alleviate the symptoms caused by seasonal allergies. Check with your vet about the right dosage to give your dog before you do then try them out. You may just find that supplements are able to suppress itching and help improve the health of a dog’s skin and coat. When you notice that your dog has allergy symptoms that are similar to yours, you should take him to the vet. Once the vet diagnoses your dog with allergies, follow all of the advice provided to you, and make sure you give your dog his proper medication and treatment. 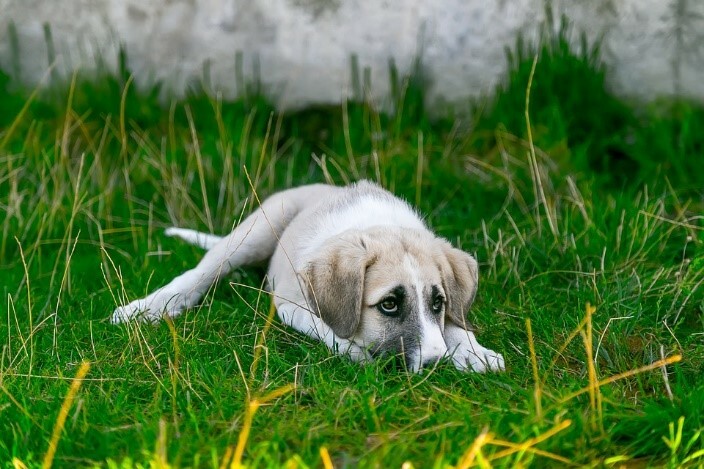 By taking the steps prescribed by your vet and keeping some other healthy tips in mind as well, you can provide your dog with as high a quality of life as possible. Oh I’m gonna give my dog my full support, cause my dog really loves to explore or wander around everywhere I’m afraid he might get sick or something, I need to train him but I’m still a newbie of having a pet and I’m loving it.